Was in Turin a few days ago. Beautiful city (mainly in the center). This was taken in the central square of Turin in the early morning light, when the shadows are still long and the first scents of autumn are in the air. 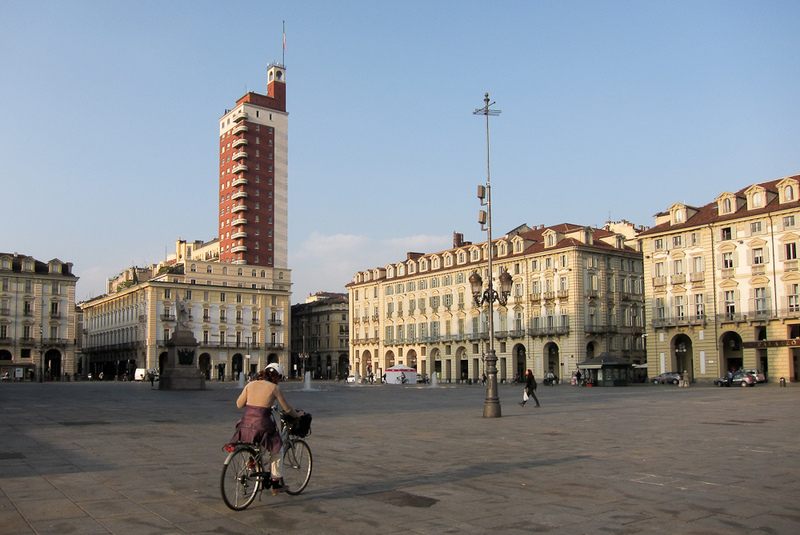 Turin is a bicycle friendly city. Many bicycle users, mainly with 28".